In loving memory of our dear brother. 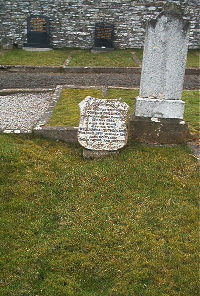 Donald Shearer died at Shaw Dunbeath 12th May 1933 aged 69. Wife Williamina Sutherland died 18th January 1962 aged 90.